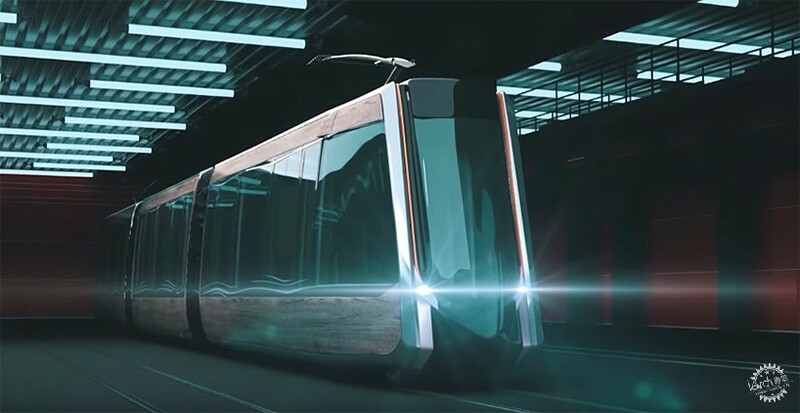 russian industrial designer darina shirchenko’s electric tram concept is designed to compliment the architecture of european cities, working at once as a feature and a mode of transport. 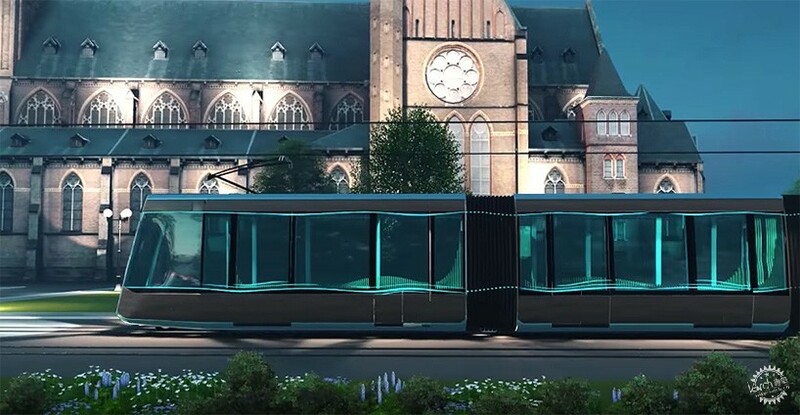 the exterior of the tram takes into consideration european architectural heritage, basing the vehicle’s look on gothic style that shi found to be the dominant architectural genre in major european capitals and cities. the fururistic tram works on the philosophy that public transport should be a moving element of a city’s architectural environment taking design elements and using them directly as the basis of the look of the tram’s exterior. 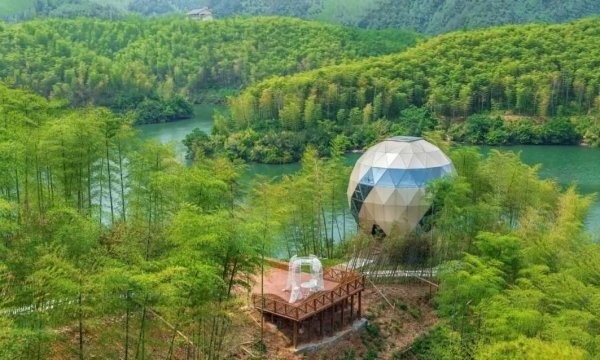 the e-tram uses pointed arches, archivolts, buttresses, spires and pinnacles, with a shell made from dark wood and tinted glass, and handrails of antimicrobial copper. 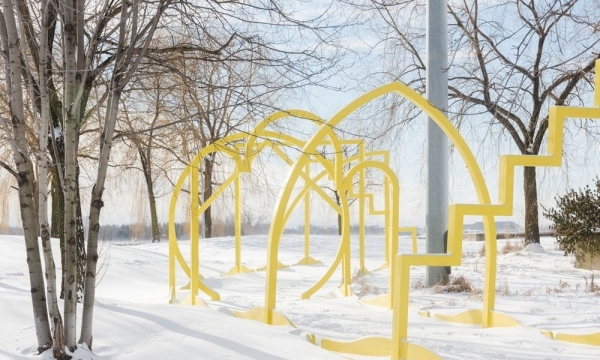 shirchenko‘s e-tram concept sets out to solve the problem of disjointed tram cars by using a combination of horizontal and vertical bogies that even out the transition between carriages, providing more stable and comfortable places for people to stand. 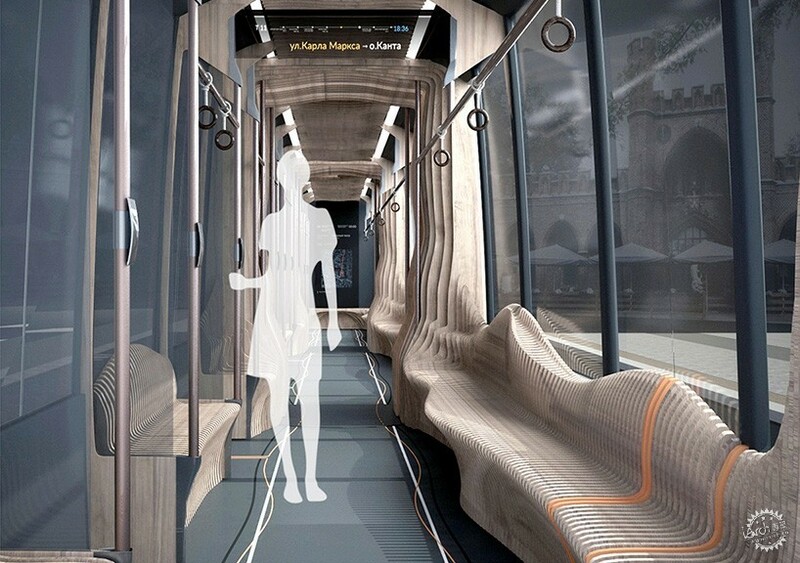 the tram’s interior is a one-piece wooden level construction that snakes through the tram like ripples of of water, hinting at the history of a large amount of euorpean cities as port cities. the vehicle can hold up to 250 people, and runs with 3 X the efficiency of a bus. 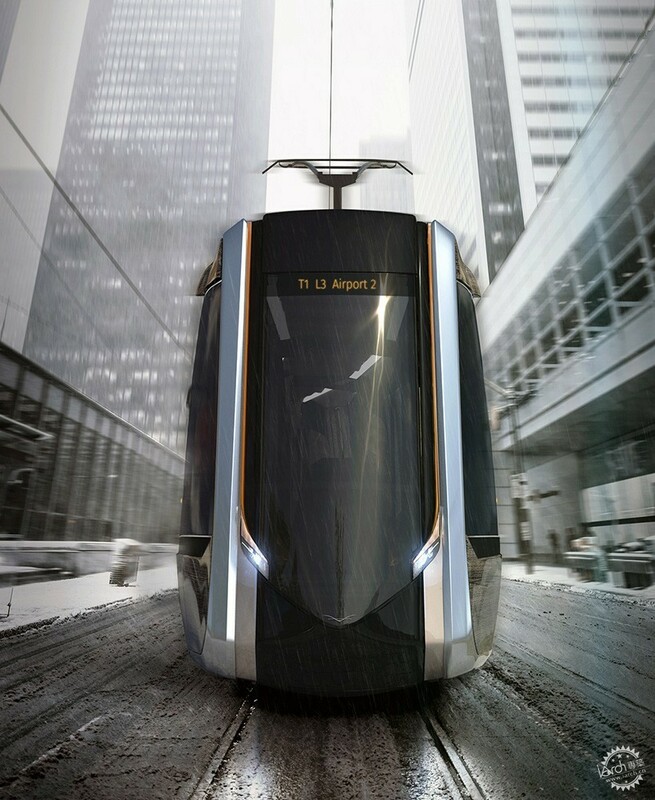 the design draws parallel to the siemens ULF (ultra low floor) tram, using a low entrance height and no platform. by employing horizonal bogies with pivot wheels in the first and last partitions of the tram, and vertical bogies between interior partitions to level out the floor of the tram, shirchenko creates a smoother, more succint ride.